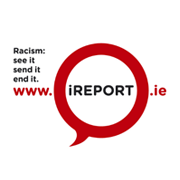 The UN Committee on the Elimination of all forms of Racial Discrimination (CERD) met in Geneva to hear Ireland’s report on racism from 22-23 February. The Committee’s reflections concur with NGO concerns that racism has fallen off the political agenda. This was an important Hearing eagerly awaited by NGOs who have been arguing against the disproportionate cuts to equality and human rights measures and have been lobbying for many cost neutral initiatives to protect rights and address racism. Committee reflections reflected ENAR Ireland’s submission that is a perception that for government and other stakeholders, equality and anti-racism are seen as a luxury in a time of recession, that many of the positive aspects previously identified by the Committee had diminished or disappeared and that most concerns raised in 2006 remain valid today. There was a clear message from the Committee that Convention relates to rights that need to be protected and cannot be comprised in times of economic difficulty, although the Committee did understand the economic and political position facing the Irish State at this time. What members said they struggled to understand, however, was why certain issues still had not been resolved since the last Hearing five years ago and pressure was put on the Irish delegation to clarify why Travellers still are not recognised as a distinct ethnic group by the Irish context. Committee members raised a number of questions of the Irish Government. One member who could not pose questions however, was Ireland’s representative, Anastasia Crickley. Anastasia Crickley is the first Irish woman and only second Irish person to be appointed to such a UN Committee. She had previously acted as Chair of the EU Fundamental Rights Agency until June 2010 and was the Chair of the National Consultative Committee on Racism and Interculturalism (NCCRI) until it was closed in December 2008 following a 100% budget cut. The 100% budget cut to the NCCRI was one of the questions raised at the Hearing, as part of a concern at the disproportionately of the cuts to anti racism and human rights measures. Members sought clarification on the position of vulnerable groups, highlighting the mental health issues facing asylum seekers in direct provision due to long waiting times on their asylum cases. Domestic abuse experienced by migrant women was also highlighted and the State was asked to clarify what measures they are taking to protect women whose status may depend on their spouse and who may not be able to leave the situation for fear of an insecure future. Questions were also posed on the State’s capacity to respond to hate crime and the independent monitoring of racist incidents. The Committee reflected that strong institutions are crucial to the delivery of obligations under the Convention on Elimination on all Forms of Racial Discrimination. One suggestion to the Irish Government was that they ratify the ILO Convention on Quality Work for Domestic Workers; this was welcomed by the Government delegation. The Government was also urged to consider full incorporation of the Convention into domestic law, to help enable better protection against hate crime. This is an area where Ireland as other EU members states struggle with sometimes outdated legislation that does not have the capacity to respond for example to racism on the internet. The EU Framework Decision on Racism and Xenopbhobia was another effort to try to increase capacity in this area. With the election only days away at the time, the commitment of political parties to the ENAR Ireland Anti Racism Political Protocol was commended, although it was pointed out that this should not lead to complacency. Coming shortly after the general election, the Committee’s concluding observations may play a crucial role is setting out a mandate for the new government on anti racism.